Born in Osage, Iowa on November 19, 1911, Rube retired from the United States Navy as Chief Master-at-Arms. 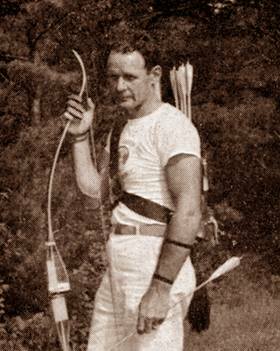 He began shooting barebow with the straight end long-bow made of Osage orange, lemonwood or yew wood and linen thread strings while stationed in Jacksonville, Florida in 1947. 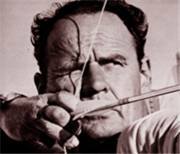 Rube moved to San Diego in 1949, changed his style of shooting and won the 1951 N.F.A.A. Freestyle Championship in Watkins Glenn, New York using an "unorthodox high anchor" and a "high wrist." (Later to be known as the California high wrist). He shot a 70", 52-53 lb. bow and a 31-1/2" arrow. 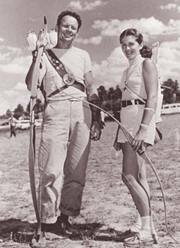 Rube spent countless hours working with city officials, citizens and archers in the San Diego area promoting archery, creating ranges and helping clubs. 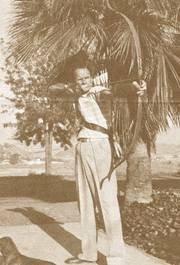 A straight talking individual, he has contributed much to California Archery.